Thanksgiving is almost here. Do you go all out with Thanksgiving decorations or just add a few touches to your table? This roundup of DIY Thanksgiving decorations has a little something for everyone, from the super crafty to the person who just wants an easy, attractive centerpiece. I have to be honest, I don’t really decorate very much for Thanksgiving because we have too much going on in our house with three birthdays plus all of the holidays. By the time I get around to thinking about decorations, Thanksgiving is a few days away and I’ve missed the boat. One day I will get it together and make this house look like fall exploded, but this year it will just be the four of us so I think I will just make a couple of cute candle centerpieces and throw some gourds on the table. Eat your heart out, Martha Stewart. For those of you who will have a full house and want to make it look as festive as possible, this roundup is for you. How crafty do you get in your holiday decorating? 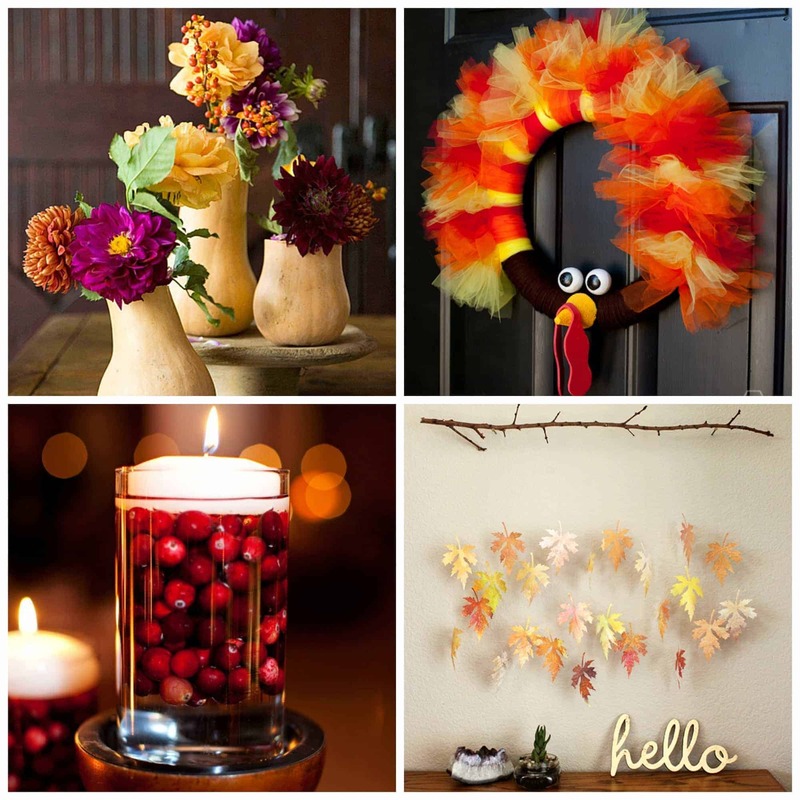 Do you decorate for Thanksgiving, or wait until Christmas to get your inner Martha Stewart on? So many wonderful ideas here, I am looking forward to decorating for Fall and Halloween.